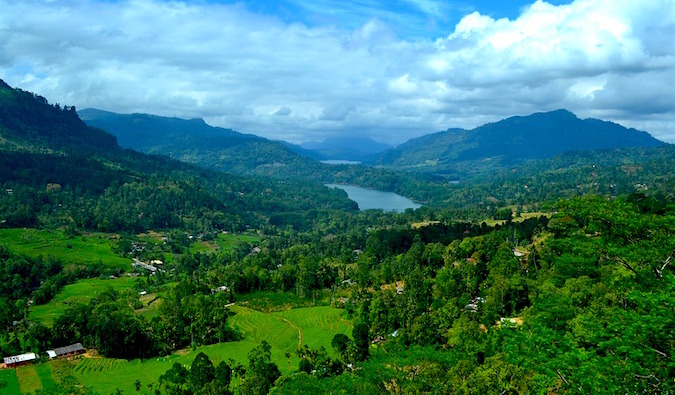 This week I am going to Sri Lanka and, outside a few facts I’d picked up by reading the news and talking to friends over the years, I recently realized I knew shockingly little about the country. I knew it was once ruled by the British, there was a long conflict between the Tamils and Sinhalese, the country produces a lot of tea, it has beyond-delicious food, its capital is Colombo, and there are some amazing jungles and beaches to explore. But, beyond that superficial understanding, I knew nothing. I couldn’t tell you if the country was cheap or inexpensive, what to see, one famous ruin, safety issues, where is popular, how to get around, what their currency or culture is, or anything in between. Sri Lanka was a blank slate to me. While I have no intention of ever planning trips day-by-day or moment-by-moment, I never like to go somewhere blind — it’s a sure-fire way to get ripped off, eat the wrong thing, get sick, make a cultural faux pas, and generally have something go badly. Knowledge is power, and given that so much information about is available online, I feel like going somewhere without any understanding of that place shows a laziness in planning and a sign of an unskilled traveler. So, before I flew to Dubai two weeks ago, I sat down to plan my trip to this brand-new destination. Normally, if I have enough of a basic understanding of a place, I just wing it — I’ve been to neighboring countries, know people, or have read enough to have an idea. Sri Lanka required some work. First, I bought the Rough Guide to Sri Lanka. I think guidebooks are still important for travelers. Even though their practical information is often out of date, I love looking over them to get an overview of how to get around, form ideas on what to see and do, suggest itineraries, and look at the maps and featured places. It helps me put together the foundation of my planning. Besides, there’s just something enjoyable about holding a book and highlighting places that reading a blog on Iceland doesn’t offer! Third, I asked friends and family for their advice (or if they knew anyone who could give me advice). It turned out I had a few friends who had been there recently and a few with family there. They gave me advice, tips, and suggestions on hotels and restaurants, and they connected me to family members. Now when I land, I have some people to stay with, show me around, and help me get situated. Nothing beats a local host! Fourth, I asked this community. With so many people reading this blog, I figured some would have been there. Tweeting, Facebooking, and my blog posts produced a flurry of messages with tips and advice, and some from locals looking to meet up. It was incredibly helpful, and now I have some people to hang out with when I go! Since not everyone is a blogger, I would suggest Couchsurfing as an alternative. This website exists to connect travelers and locals, and there is a very active community in Sri Lanka. Talking to friends, family, readers, and bloggers has now given me a sense of the destination: an affordable, safe place with friendly locals, delicious food, and slow transportation. “Everyone is incredibly nice and helpful, but don’t expect to get anywhere fast unless you rent a driver” was the common refrain. For the first time in a long time, I am going to a place I know nothing about. I am going to be a fish out of water… and I’m thrilled! I can’t wait to try to backpack and figure things out on the way again! Sri Lanka sees a lot of tourists and it’s not completely “off the beaten track” but it’s different to me. I’m sure my plans, route, and ideas will change when I hit the ground. But as of now, I feel I have a better idea as to what I am getting myself into. I have a sense of what to expect and that makes me more slightly comfortable about visiting. You never know what a place is really like until you go, but now the picture of Sri Lanka is not a complete blur – it’s come into a lot more focus. Doing a little research to get an understanding of a place mutes that voice. This is not about scheduling all your days and all your activities. That stuff should be done after you touch down based on how you feel each day. This simply is about being a more informed about the destination you are visiting. 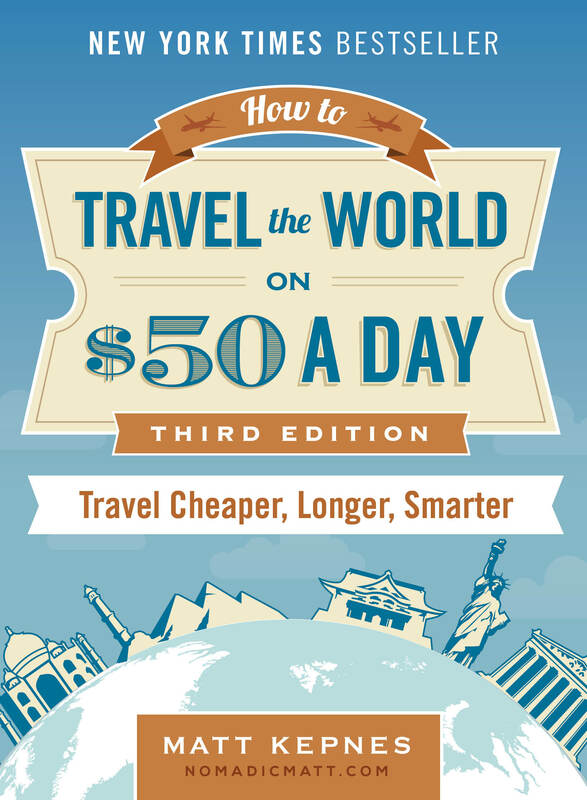 Because a smart and informed traveler is a better traveler. There’s still much to learn about Sri Lanka but now I don’t feel as if I’m completely at a loss or ignorant about the place. Sri Lanka is one of our favourite places, we’ve spent months and months there now. But yes, those blank slate countries can be daunting. I remember coming to your website when I had just booked flights to El Salvador, hardly any other blogs had been there! I agree re El Salvador. I found it hard to find any online info before I went a few years ago. Did a wee blog. I really enjoyed my time there. I research and plan similar to you Matt. I want to know the background, and opportunities/things to do, so I have the best choice. I plan a rough route and book a few days ahead once I’m there. I also read novels set in the country. Good luck and hope you have a pleasant stay in Sri Lanka. Your blog is awesome. I’m traveling solo as often as I can afford it, and I’ve learned a lot from WikiTravel and YouTube especially the Expoza Travel Channel. Of course they might be outdated like your guidebooks, but… Do you ever use YouTube for research? I’m currently planning a trip to Chile including Easter Island. Chile is on my Agenda too next. Have to save some more. Would love to hear about your final Route and Itinerary. We just have annual leave and not such Travel Perks any longer. So it is now all paid for like a Normal Passenger and Salaries are dismal for Consultants in small Towns etc. If you have time, would love to hear from you. Happy and Safe Trave l Helen. Interesting! I got an around-the-world ticket in the ’80s–before Internet and cell phones. There was no way to really plan everything out. Lonely Planet guides were essential. And I’d find the café in town that was the hangout for Peace Corps volunteers (similarly budget-minded). They always had good advice (like “keep your mouth shut in the shower” in Kathmandu. I was just chatting to a friend today about Sri Lanka. She booked the flight a day before, jumped on the plane with her Boyfriend and had absolutely no idea what the country had in store. She told me a wonderful story about how she ended up on a bus, with a Sri Lankan woman sat on her lap, telling her stories in a language she didn’t understand. I’m a big one for just jumping on a plane – or a train or a boat – and seeing what a place has in store for me. I like using Guide Books to get a rough idea of what’s going on, but I tend to turn up and ask locals, hostel workers and other travellers what’s good to do. I get a real feel for a place when I’m there, and I like to work on my gut feeling. It’s landed me in a few sticky situations, but that’s where all the good stories come from, right? It’s interesting that you wrote about this because I was just thinking about it! Traveling to destinations where I have some sort of understanding or frame of reference is so easy. I’m living in the South of France this summer and I did zero preparation for it. I just know enough about France from references and travels over the years that I knew what to expect. On the other hand, I traveled to Korea a few months ago and I knew nothing. I went there to try to understand it better. But it took some real research before I left and some time allowance over my first few days there to really settle in and get a feel for it! 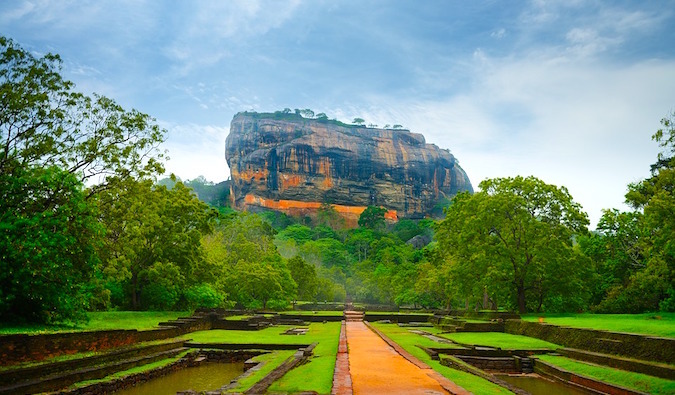 I’m happy to see Sigiriya in your photos. This is apparently a must-visit in Sri Lanka. I absolutely loved everything I visited in the country, but I missed out on Sigiriya and people can’t stop reminding me from this fact. This sight must be super special. I kind of get that “I’m gonna really be out of my element” feeling when I think about traveling through China next year. I’ve read plenty about China in preparation, but I still feel like it’s going to be difficult everyday. But that’s also part of the thrill for me. With all the information out there I still feel like I know nothing about it. I too love guide books and have one or two for ever country I have visited. I have them displayed on a specific shelf in my office and I only buy travel guides for the trips I have taken…it is my version of “pins in the map”. I personally love DK Eyewitness travel guides. They have lots of pictures in them and give awesome advice. Their “Top Ten” guides are especially good for traveling with as they are small and light. Some great tips – thanks for sharing! Traveling is such an amazing opportunity and can really broaden your perspectives on life and strengthen your understanding and appreciation for other cultures. As great as it is to not be bound by a definite schedule and allow your travels to be free and spontaneous, it is always a good idea to have a clear understanding of the safety of your destination and ideas regarding the general costs and best travel methods. 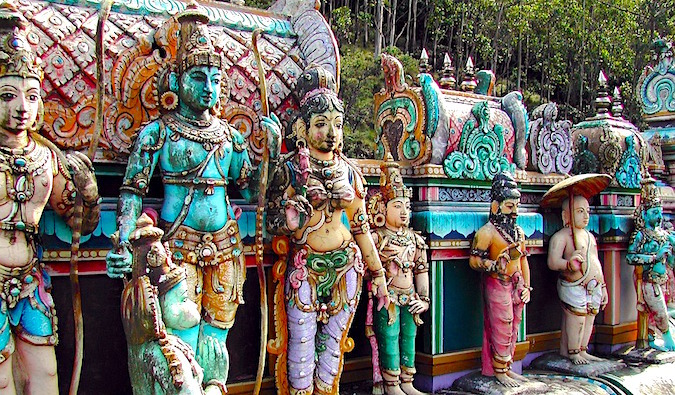 Sri Lanka, or other places in India I would strongly recommend as a great pick for challenging your understanding of the world, as it often provides quite a culture shock. Enjoy! You have a really great blog-site. I have only seen a few and am not an avid blogger myself however, I am looking into it. Just starting off yourself in the beginning what key knowledge did you use to build your this ‘Blog-Empire’, I guess you could say? I understand if you choose not to respond, but I am choosing to ask for a little help, humbly. Thank you, for any help you choose to throw my way. Guide books are a great way to start understanding a destination but I also find them opinionated and give little room to discuss a writer’s perception as a blog would offer. They can also be inherently outdated. Nonetheless, guidebooks are usually very comprehensive since as opposed to blogs that usually handle a discussion on a few places in each country, a guide book covers a whole country in most cases. Have a wonderful time in Sri Lanka. 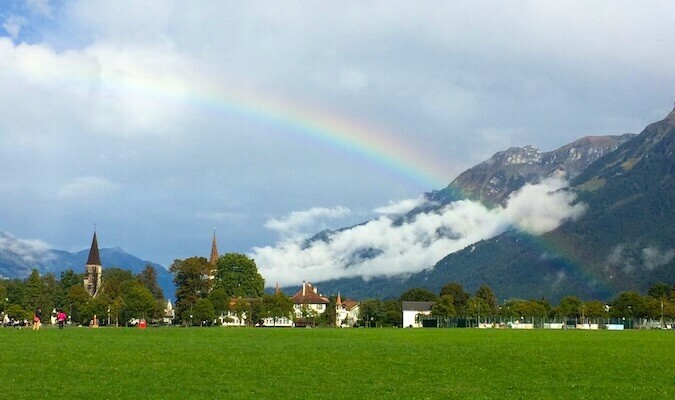 It is somewhere we haven’t been to yet – but it is always near the top of our list. I’m looking forward to hearing about some of your adventures there! When we were travelling, we regularly had no idea about our next destination. Mainly because we hadn’t worked out an itinerary and took things day by day. But it did mean that we needed to find out about places quickly! We had a South East Asia guidebook which gave us an idea of the places we were heading to – but we relied quick heavily on blogs to give us good ideas of where to go and what to do… and in a lot of cases, how to do it! By using blogs, we were able to do a lot of stuff on our own, rather than booking organised tours – not only did it save us money, but it allowed us to enjoy the experiences a lot more than I think we would have otherwise. But most importantly, we just asked people! We met other travellers, who recommended many places to us and spoke to locals to learn more about the towns and cities we were staying in. Sometimes, I really do think you can enjoy somewhere more without having a plan and going in with a really open mind and clear timetable. It’s my favourite way to travel! Have a great time in Sri Lanka! I totally agree with you! It is fun and excited to go with the flow but knowing and understanding about our travel destination is also important. We never know what’s going to happen so a little preparation is better! I went to Russia, didn’t know a thing beforehand and did a lot of research. One addition i’d recommend before you go is to learn a few phrases in the local language (I did it by downloading free podcasts). It helps to know “please” “thank you” and “i don’t understand” in the language of the place you are visiting. Great article with some very practical advice. We are setting off on our first \”long term\” travel journey in the new year. Although I have been dreaming about it for years . . . and years, I sometimes feel very anxious at the thought of it. Just knowing that someone with all of your travel experience sometimes feels that way, is somehow reassuring. You will love it!! Spent a couple weeks zipping around with a friend. Hired a local driver for part of the time (cheap and buses looked appalling dangerous) and took the train through tea country (don\’t miss!!). Lots of elephants, ruins, friendly people, fascinating culture, and delicious spicy food. garage sales and charity book markets are great places to get guidebooks I have bought 2 year old guidebooks in like new condition for 2 dollars each. I always get fascinated by the adventure of yours. And i had too started to explore some of best places around globe. Last year i had been to Srilanka and bound with the beauty of flora. And as you had been there too so i know how you feel. Hi Matt, i’m leave the comment and message for you. you should come to tamilnadu and you can enjoy more like srilanka. we have the lot temples and you can see the new culture. and too thanks for the post. I totally agree with you Shan, Sri Lanka is more or less similar to TamilNadu, India. Apart from temples, the South Indian cuisines are fabulous. And I wish Matt, could do a topic on South India. I’ve never been to Sri Lanka before. I’m still gathering information on places worth to visit. My first point of info is wikitravel. Even though it can be wildly inaccurate, it’s a good starting point. I rarely schedule anything but one big plus of some advanced research is that sometimes you need to lock things in. Imagine finding out about some awesome activity that you needed to have booked way in advance! Hi, Matt! Great article. I was smiling when I read “Even after ten years of travel, I still have a small amount of trepidation before I go. ” because I completely resonated with that statement. 🙂 I’ve visited close to 28 countries so far and I still get a bit of an anxiety when I leave the house and head for the airport. Guidebooks are a good way to start. I didn’t travel that much but I made some awesome experiences with following recommandations of other travellers or locals. Great source of information, Matt. I’ve never been in Sri Lanka before, thanks for the advice. I wonder how huge and beautiful Sri Lanka is. Thanks for sharing. 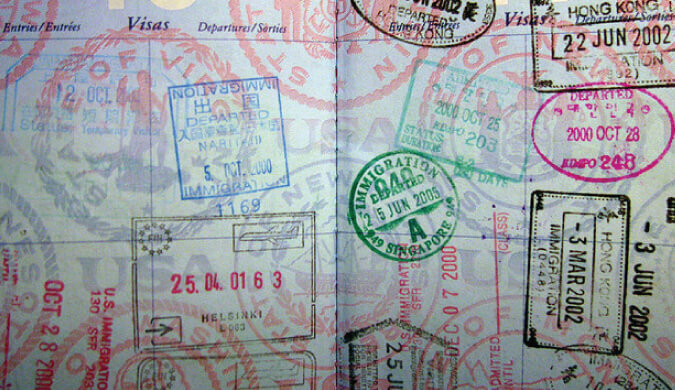 Great information on how to do your due diligence before visiting a country for the first time. I try to learn as much as I can about a country before I arrive. You never know what might happen! I also use similar methodology when it comes to new food. For instance, I love to eat new cuisines and try different restaurants in new places. I always to look up what others have ordered and liked (blogs, restaurant reviews, travel websites, etc. ), learn about the dishes served, and gain an understanding of the culture behind food preparation. Doing some research ensures that you get the best out of your experience. I think if you don’t get information about the country you travel to, you will pass out on a big part of your travels. For me it is important to know at least a little about the countrys past, its traditions and costums. I had the opportunity to travel to Sri Lanka nearly 20 years ago (while it was still rather unstable). I travelled with a private driver and chauffeur and had a great time. If anybody interesting to relax by the best beach in Sri Lanka, I would suggest you guys to consider Nilaveli beach. It is a wonderful and unspoiled beach in Sri lanka with a clean shallow water. i heard that Sri Lanka had best tourist spots. I am planning a trip to Sri Lanka, thanks for sharing information. The CIA World Factbook can be a nice resource to get some basic knowledge on a new country. It’s a government website, so take that how you may, but I like that it has the “country comparison to the world” next to many of their facts. Again, it’s a factbook so you’re not going to be travel-ready after checking it out, but it’s one that I like to use!